What’s more beautiful than simple percussion instruments made from nature? 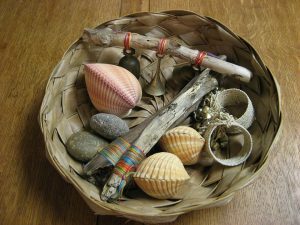 UMA graduate, Tamara Stoll, created a lovely basket of instruments by collecting shells, rocks, and driftwood pieces from her beach in Oregon. She included brass bells and woven wrist bands to her musical collection. Just lovely! Here’s a lovely idea for helping to create a spirit of respect and cooperation in the classroom. 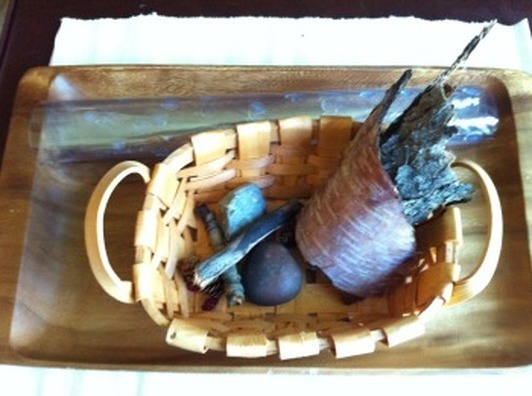 UMA graduate, Renata Lemire from Alberta, Canada, shares her Montessori original Sensorial Project which she entitled: Nature’s Beauty – Smooth and Bumpy. 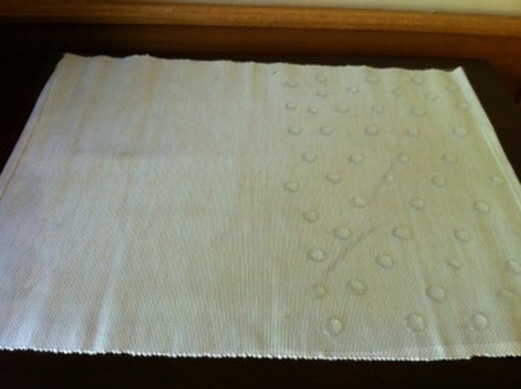 Transparent vinyl smooth/bumpy mat, cut same size as floor mat. One side is left smooth and the other size has dried, clear, white glue “bumps” randomly placed. Five objects found in nature that are bumpy in texture with a corresponding match of the same object that is smooth in texture. Each pair of objects should be approximately the same size to one another. 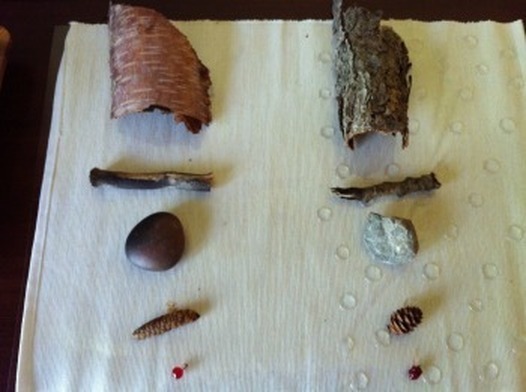 ​A very beautiful and inviting original Sensorial project!